ID card design software is useful to create standard and professional looking ID cards, ID badges, School ID cards, Photo ID cards and Employee identification cards. Identity card maker software provides Batch Processing Series feature allows to generate multiple copies of ID cards with different barcode and text value. Software provides facility to create business specific and personalized ID cards for small to large business organizations. ID card software creates customized Identification card using advanced image designing objects for ID card creation process. 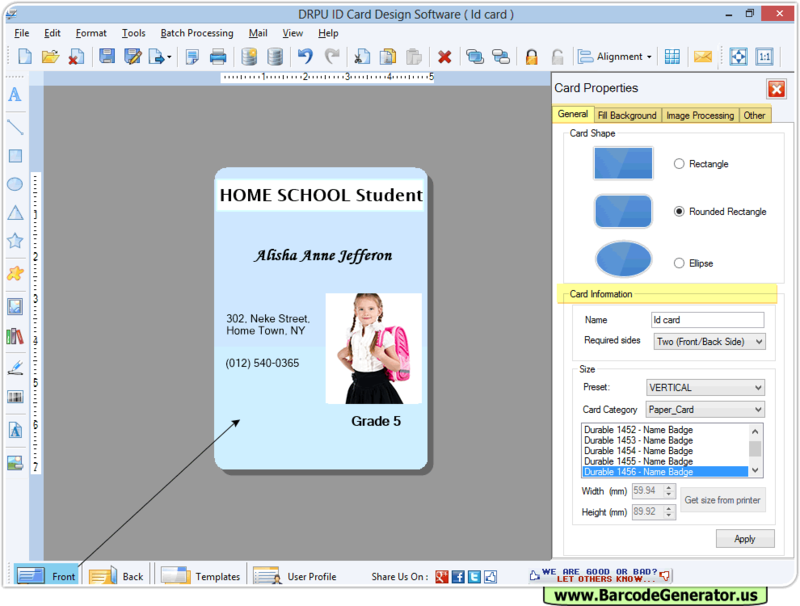 ID card maker software is used to design and print Visitor ID cards, Security cards, College ID cards etc. 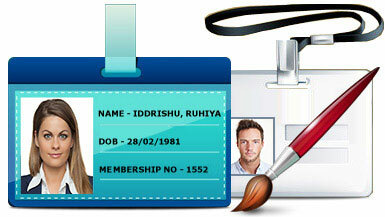 Designed ID Card using 'DRPU ID Card Maker Software". Design and create cards using image designing tools Line, Picture, Text, Barcode, Ellipse, Arc and star objects. Option to specify color and background setting of created ID card including Solid color, Gradient, Image and Style settings. Option to print created ID cards using flexible print settings. Provide option to send designed ID cards on specified email address using inbuilt email setting. Easily generate the multiple copies of ID cards with different text and barcode value. Provides option to save created professional ID cards at user specified location for future reference.